Thanks to the Harvard study, it is no secret that there is a direct correlation between written goals and earning potential. Statistically speaking, those with written plans on how to achieve their vision outperform and out-earn those without by more than ten times! All CEPAs have goals and objectives every year. For some, it is to improve client engagement. For others, it might be to effectively implement exit planning services into their existing firm platform. Many want to improve their ability to attract high net worth prospects. And who doesn’t want to simply get truly effective at growing their practice? You likely have goals that you’d like to see happen in 2018, too. The Strategic Mentor Group is here to help you. The Strategic Mentor Group is here to give you a facilitated conversation in a peer-to-peer group coaching (virtual) setting with your fellows CEPAs to help you reach (and exceed) your goals. You will participate in the building of a One-Page Strategic Framework that creates the roadmap for your goals and objectives in 2018. Each month, you will be surrounded and supported by fellow CEPAs sharing stories, developing ideas, finding solutions, and resolving issues, while keeping each other accountable to fulfilling plans and becoming a better advisor and professional. This elite CEPA group becomes your sounding board for best practices, troubleshooting, creative ideas, and peer support. The Strategic Mentor Group is facilitated each month by Scott Snider, EPI Vice President, nationally recognized industry leader, and lifetime entrepreneur. Two of Snider’s biggest talents: market penetration and rapid growth strategies. In fact, Snider launched his first business at the age of 17, which he grew exponentially, winning accounts away from larger competitive companies, and establishing notoriety in his local marketplace. 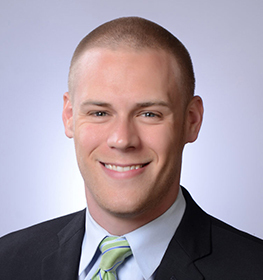 At 24, he sold to a strategic buyer (his first “exit”) and joined forces with Chris Snider’s private exit planning and M&A firm, Aspire Management, who was looking to dominate Northeast Ohio’s exit planning space. Within one year, Scott took Aspire from an unknown startup to one of the most influential boutique advisory firms in Cleveland, citing over 13 publication pickups, a full client book, and a COI network that included every specialty from across the exit planning ecosystem. His strategy was integrated, calculated, and educational, prompting high interest and leading prospects to the next crumb in the trail. With their passion for business strategy and serving owners and advisors alike, Snider and Snider purchased the Exit Planning Institute (EPI), introduced the Value Acceleration Methodology, wrote an award-winning book, and effectively increased the business size by 10x. Scott Snider knows how to educate clients, achieve market distinction, and deliver real results. The Strategic Mentor Group uses concepts and tools found in Verne Harnish’s book: Mastering the Rockefeller Habits: What You Must Do to Increase the Value of Your Growing Firm [view book]. This is a simple, yet powerful tool combined with the peer learning within the group will allow the advisor to align their vision and strategy, develop reachable metrics, create action, and achieve results. Adding more resources for those who aim to make exit planning a major focus, Full Membership provides Certified Exit Planning Advisors™ (CEPA™) the implementation support needed to unleash that revenue stream. Full Membership includes monthly mentorship calls with EPI Global Vice President, Scott Snider, along with an annual subscription to the EPI Monthly Deep-Dive Webinar Series. Full Membership is exclusively available to professional advisors who are in pursuit of or have earned CEPA designation. The Certified Exit Planning Advisor®(CEPA®) is the most regarded exit planning credential in the marketplace today, endorsed and accepted by more than 20 major organizations. The CEPA 5-day credentialing program is offered four times a year in locations across the country. Advisors who earn the CEPA designation have the ability to holistically serve business owners’ needs regardless of the timing of their exit. CEPAs lead teams, enable educated decisions and create positive change for their clients. Advisors leave the CEPA program more than entered it. They transform into the Advisor of the Future. Reinvent yourself with exit planning.